Please welcome Jocelyn Green to The Sword and Spirit. Jocelyn has generously offered to give away a copy of her new release, Spy of Richmond to one lucky commenter! Details at the bottom of the post. Where are you right now (LVR, DR, Bathroom) and what are you wearing? You have to tell the truth. I’m in my office, wearing flannel pajamas, slippers, and bathrobe. It’s 5:30am and I’ve been up since 3-something, thanks to our new cat we adopted just yesterday. He is so sweet, but became a little too active on our bed and I couldn’t get back to sleep. Do your characters ever give you surprises when you are writing? Can you give us an example if they do and if they don’t, do you know why? Yes! With Spy of Richmond, I worked on the hero’s backstory for weeks if not months, and he just did not capture my heart. I couldn’t even decide on a good name for him, which should have been a sign. Finally, somehow it hit me. He was not the hero. The real hero of Spy of Richmond was a character I had developed for a subplot in a previous novel. One I figured that out, everything came together much better. Many writers will say they see stories all around them. Is there someplace you found this story? Yes. I had been reading about the Richmond spymistress Elizabeth Van Lew. Several books have been written about her already, and while she is certainly fascinating, my imagination took flight when I considered the unnamed men and women taking the real risks to deliver the information to her. Sophie Kent represents one of those young women. Do you have a favorite scene in this book and what would it be? It’s hard to choose, but one favorite that comes to mind is when Harrison Caldwell arrives at Bella Jamison’s house to tell her he plans to infiltrate Richmond for a news story, and wants to deliver a letter from her to her husband who is imprisoned there while he’s at it. Bella insists on sacrificing her own freedom to join him on his errand for reasons I’ll let the reader discover on her own. But I remember that scene almost wrote itself. The energy between Harrison and Bella, their arguments, their eventual agreement… the characters really took that scene over. Did anyone inspire you to write or was this something you always wanted to do? I’ve always wanted to write, every since I could spell. If you could be any character in any literary book who would you be and why? Anne Shirley, of Anne of Green Gables. She has a beautiful island, vivid imagination, and she gets to marry Gilbert Blythe! What is something that very few people know about you? I am secretly haunted by the fact that I haven’t scrapbooked in five years. My Kindle. I have so many books on it and can carry it with my anywhere! What is your favorite time period to write in? Well, so far, I’ve only written in the Civil War when it comes to fiction, but now I’m exploring several different centuries, all of which precede the 1860s. Are you or any close family members in the characters personalities? My husband has inspired certain qualities in different heroes I’ve written. In fact, one of the most highlighted passages in the Kindle version of Widow of Gettysburg is a speech from the hero during his proposal, and it is almost word for word a poem my husband had written for me before we were married. I also relate to Harrison, the reporter and hero of Spy of Richmond, since I was a journalist for years. If you could live in any time period when and where would that be and why? The Progressive Era—early 1900s. So much was changing and developing, and women were really breaking through their barriers at least on some levels. It must have been an exciting time to live! If you could visit any place in the world where would you go and why? I’ve been to several countries in Europe but I would love to go to Ireland and Scotland! The history is amazing, and so is the scenery. Nellie Bly. Born in 1864, she grew up to be a ground-breaking reporter, which was remarkable for a young women in those days. She launched a new kind of investigative journalism and wrote an exposé on the conditions inside an insane asylum, among other stories. She also traveled around the world without a chaperone in a record-breaking 72 days. Again, since I was trained as a journalist, Nellie’s story fascinates me. What is the hardest part in writing a story? The planning of it. All the details and characters have to interact just so, in the right timing, especially when working with historical events and figures. Once I have the outline, the writing part is easier. What kinds of emotions go through you when you are writing such a strong and heart wrenching scene? I feel so much empathy for my characters, that if they are terrified, I am almost shaking and literally feel sick to my stomach. If a character is grieving, I cry too. If a character is desperate and hopeless, I feel all of that. But then, when there is hope and joy, it’s even better for having walked through the valleys. When writing, what is the part of the story you enjoy writing the most? The epilogue. I just love showing that the characters really did make it, even beyond that happy ending at the close of the last true chapter. It’s a relief, especially after I put them all through so much hardships during the Civil War. What is a typical working day for you? Where and when do you write? Do you set goals? I try to write 1500-2000 words a day when I’m on a deadline. I usually do this at my desktop computer in my office, close to all my research materials. But sometimes I just grab a pen and a legal pad and head for my favorite chair. For some reason that gets me thinking from a different angle. Without hesitation: Les Miserables! I just adore that work. It’s so timeless, it applies to everyone in every generation. Victor Hugo really got at the human condition from so many angles. It’s an unparalleled masterpiece. Rain hissing to the earth in torrents behind her, Sophie Kent shivered and craned her neck toward the platform, half expecting lightning to strike the Ten Broeck Race Course any moment. It was the second day of the auction selling more than 420 slaves, and the second day of boiling, weeping storms. Gripping her pencil and papers beneath the folds of her wrap, Sophie trained her eyes and ears to the drama around her. Humiliation tightened her throat as she watched a woman on the stage made to jump, bend, twist, and turn. Her smooth complexion was the color of tea with milk and honey, a bright contrast to the cocoa and coffee bean shades of the others. Her almond-shaped eyes were cast downward as a man tugged off her shawl and head rag before pinching her arm and pulling her lips apart to display her teeth. Modesty told Sophie to avert her gaze from the indignity, but she resisted. For years, she’d been blind to the horrors of slavery. This time, she would not look away. Neither will I stay silent. Not any longer. The man spun the woman around and made some remark into her ear; she let him expose her back to the audience. “No scars from the disciplining lash—no trace of rebellion in her spirit,” he said. The woman covered herself once more. As the bidding began from within the two hundred buyers in attendance, Sophie withdrew her auction catalogue from her wrap, her pencil poised to take notes. Humidity curled the pages, and the list of souls for sale drooped in her gloved hand. 116—Rina, 18; rice, prime woman. 118—Pompey, 31; rice—lame in one foot. 342—Cassander, 35; cotton hand—has fits. Heat scorched Sophie’s cheeks as she furiously recorded the exchange in the margin of her catalogue. Do they not hear themselves? Do they not understand these are people not livestock? Sophie looked up to see more than one man nod in agreement. “Sold!” The gavel struck, and Daphne, chattel no. 256, twisted her bright yellow head scarf back into place over her hair. Her face settled into tense lines as a family of four replaced her on the platform. Thunder snarled, and wind wailed through the pines surrounding the race course. The crowd shifted closer to the platform, away from the spitting rain. All except for Sophie, who remained rooted in place. “I can think of another word for it,” she muttered without looking up from her catalogue, waiting for him to pass. She turned in time to see lightning’s flash brighten his twinkling brown eyes. “I thought you were in—” New York. “Shhhhh,” he said beneath his breath. “You can do this. Write it.” He bent, kissed her hand, and whispered, “Four years to go,” then stood tall and stepped away from her, his eyes focused on the platform. Heart hammering, Sophie clenched her papers, careless of the ink and lead smearing her gloves. Aware that he would disappear into the crowd any moment, she stared at his broad back while she could. Memories kindled until her face burned. A hand squeezed her shoulder, and she nearly jumped out of her kid leather boots. “Our business is finished here.” Head and shoulders above Sophie, Preston Kent’s silver-striped suit gleamed with the light of the storm, as if he were Zeus himself. “So was—” He dropped the thought like hot coal, but Sophie could read the unspoken. So was Susan. “I’m nothing like her.” Sophie was Daddy’s little girl from the first. Mr. Kent jerked her farther from any listening ears, wrenching her wrist harder, until her catalogue dropped from her weakened clutch. As her father scooped it up, the draft of the story she’d been working on last night peeked from between the pages. She reached for it, but he turned her notes toward the watery light of the rain-drenched sky. Mr. Kent looked through her draft again. Winced. “What is the meaning of this?” He jabbed his finger at her words, a storm gathering in his eyes. But he was already stalking from beneath the shelter of the Grand Stand and into the driving rain. Sophie followed him, shoulders hunched, her boots sinking in mud. 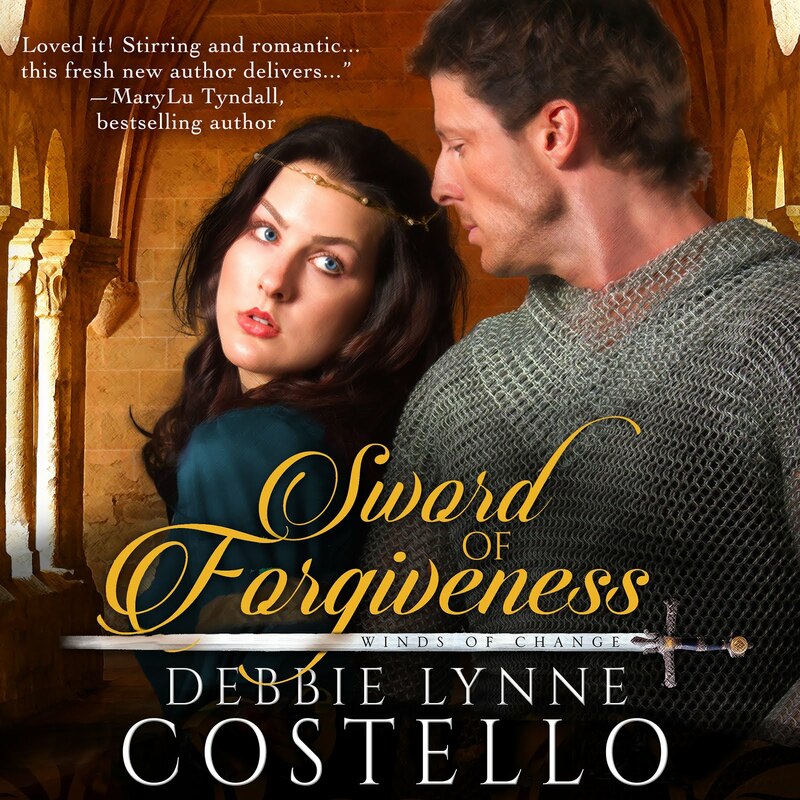 Raw, wet wind swirled in the silence between them, knifing through Sophie’s wrap as though it were made of lace. She set her jaw and lifted her chin as the voices of Frederick Douglass, Sojourner Truth, and the Grimke sisters washed over her. “Oh no, don’t!” Sophie lunged for the remnants, her bonnet slipping off her head and bouncing against her back. Rain sprayed her face as mud puddles swallowed the crumpled remains of her story. “Have I lost you, too?” Mr. Kent's face twisted. “After I’ve given you everything a father could possibly lavish on his child—you would turn your back on me now?” He lurched one step toward her, then grimaced, his fist to his chest. “A disagreement is not a personal betrayal.” Blonde ringlets, teased free by the wind, clung to her face and neck. “It is to me. This time.” Blanching, he dropped to his knees in the spongy earth. “Some things have been too painful—for me to speak of—” He collapsed onto his heels and leaned into her for support. Terror seized her breath. Still mute with fear, Sophie nodded, barely noticing the water dripping down the back of her neck, or the cold seeping into her from the ground up as she leaned in close to hear him. “My parents didn’t just die years ago as I told you . . . After I moved to Richmond to be a reporter, they—and my younger sisters—were killed in their beds. By slaves. Sophie’s stomach roiled. Sophie wanted to deny it, to say he had Mother still. But he didn’t, not really, and they both knew it. “The one thing I want—and the one thing it seems I cannot have—is family. Truly,” her father whispered. “You are breaking my heart.” His lips pulled back as he clutched at his lapels once more. All the speeches she’d rehearsed retreated behind her fear for her father. She’d planned on telling him she would always love him, but she was a grown woman now with a fine education, and that her conscience demanded she follow her own convictions. She was going to be strong. Award-winning author Jocelyn Green inspires faith and courage in her readers through both fiction and nonfiction. A former military wife herself, she authored Faith Deployed: Daily Encouragement for Military Wives and co-authored The 5 Love Languages Military Edition with Dr. Gary Chapman. Her novels, inspired by real heroines on America’s home front, are marked by their historical integrity and gritty inspiration. 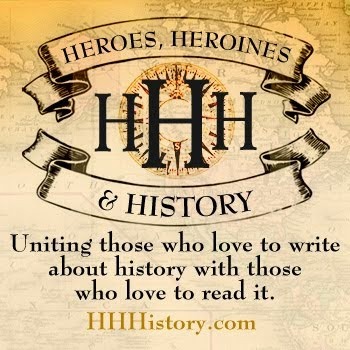 The books in the Heroines Behind the Lines Civil War series have been honored with gold and silver medals from the Military Writers Society of America. Wedded to War was a Christy Award finalist in two categories. 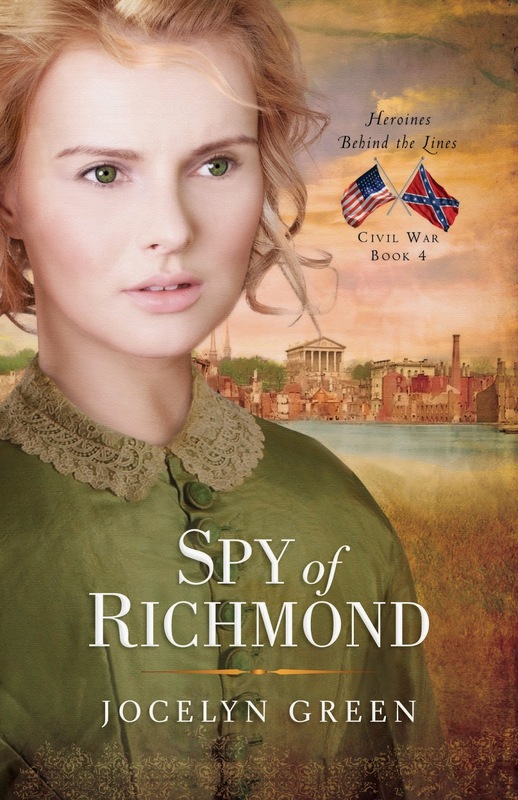 Her latest release is Spy of Richmond. Jocelyn graduated from Taylor University in Upland, Indiana, with a B.A. in English, concentration in writing. 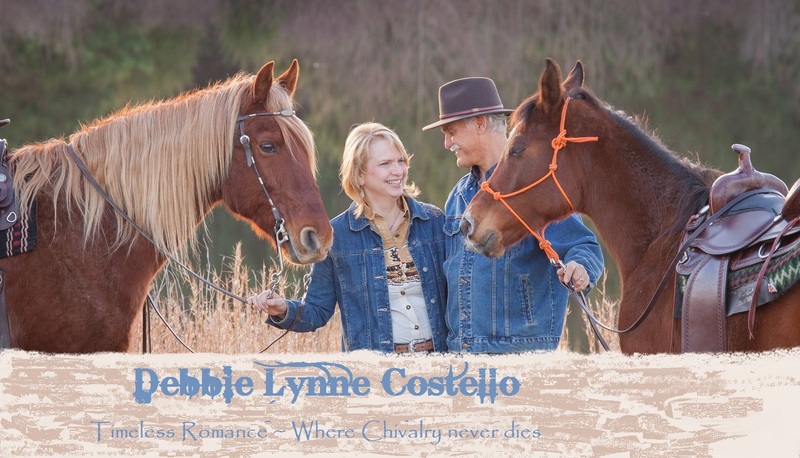 She is an active member of the Christian Authors Network, the Advanced Writers and Speakers Association, American Christian Fiction Writers, and the Military Writers Society of America. 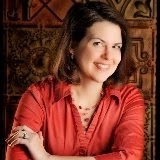 Leave a comment for Jocelyn to be entered to win Spy of Richmond. Winner will have the choice of paperback or ebook in the continental U.S. outside of that an ebook version. Good luck!